Tonight and Tomorrow: Mostly cloudy skies tonight, but clouds will be breaking overnight and into Monday morning. This will allow for temperatures to freefall late, dropping into the 40s around 11PM, with lows near 40° into Monday morning. The stalled front will linger along the coast, keeping cloud cover and late afternoon rain chances in the forecast. Temperatures will stay cool, only reaching an afternoon high of 64° with 5 to 10 mph winds out of the northeast. Up Next: A brief sunny and dry period begins on Tuesday, but showers and strong storms return on Thursday. Temperatures will steadily warm, with highs back into the 80s by Friday. 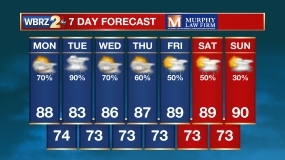 Showers are poised to stay in the area through the weekend. The front that brought rain and storm activity Sunday, will linger along the coast. 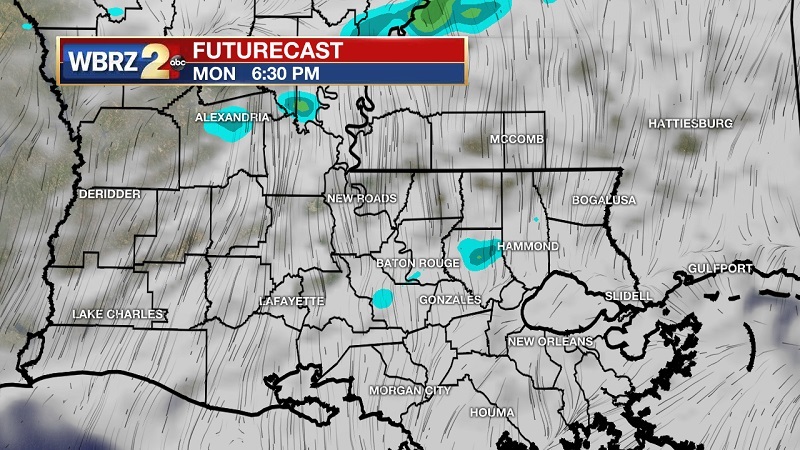 A shortwave trough should move along the front on Monday, allowing for the potential for a rogue drizzle late in the afternoon and evening. 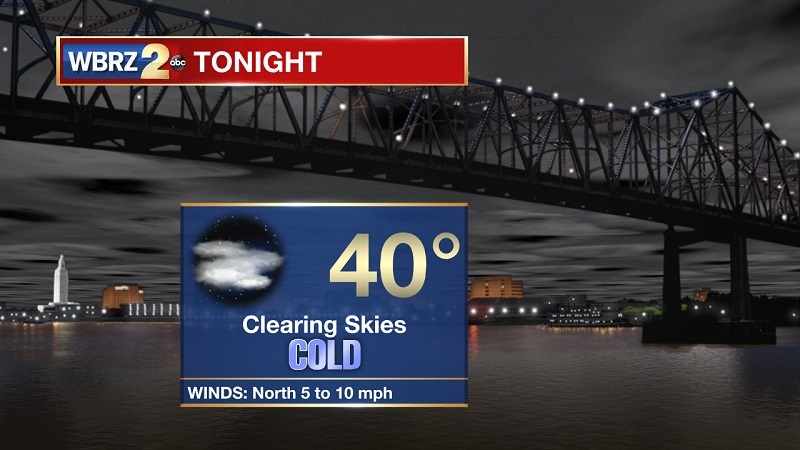 Skies will clear quickly overnight into Tuesday, as temperatures bottom out near 39°. High pressure then begins its short visit to the region, keeping skies sunny into Wednesday. High temperatures will also rebound back into the mid-70s during the midweek, but conditions will begin to degrade as high pressure dissipates. A potent frontal system moves in on Thursday, bringing high chances of showers and thunderstorms. There will be high shear and substantial instability values associated with this system, allowing for strong to severe storms to develop. Timing and severity will get more dialed in as we move closer to this time period, but the Storm Prediction Center already has our region indicated in the 15% severe category in the Day 5 Convective Outlook. 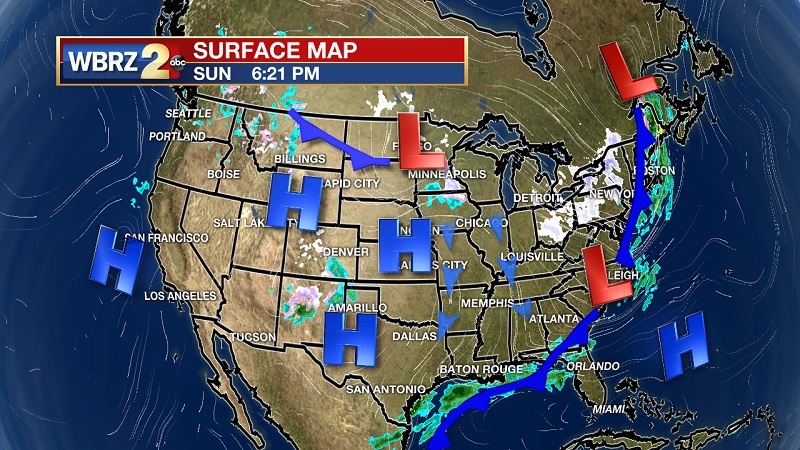 This front will stall and flatten, keeping rain and storm chances in the forecast through the weekend. A secondary trough will strengthen the initial system, increasing rain and storm chances Saturday and Sunday.